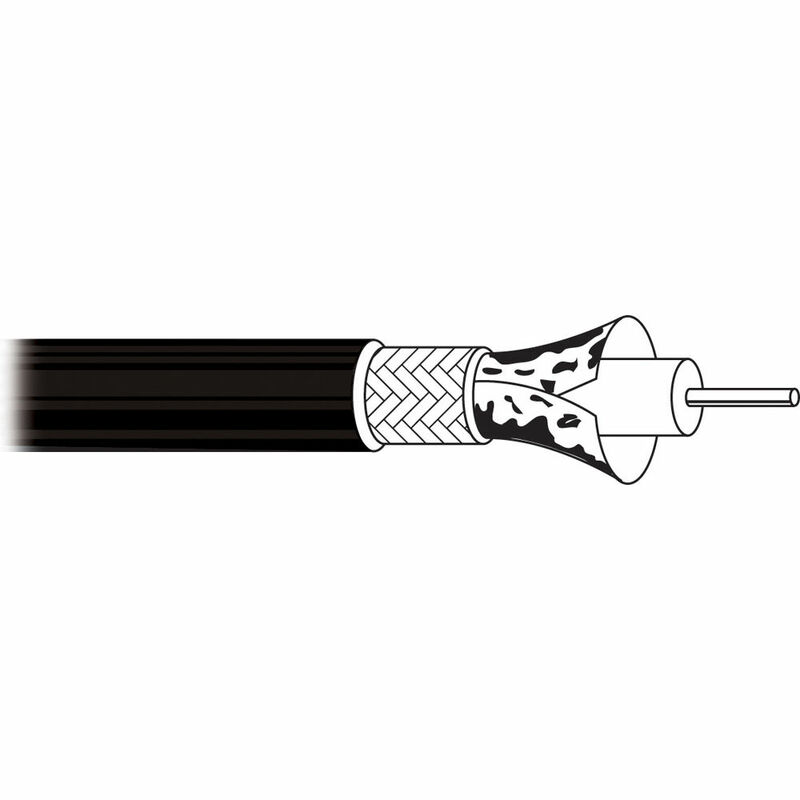 The Belden 1855A Sub Miniature Coax Black with BNC Connectors 6 ft is a precision broadcast video cable with BNC connectors for narrow-band composite through wide-band SDI transmissions. The cable is 23 AWG and features solid stranding, a bare copper conductor, and gas-injected foam HDPE insulation. The outer shield is of two layers, one with 100% coverage and the other with 95%. The color is black and total length comes to 6 ft.